Bandit is a Peregrine Falcon (Falco peregrinus). 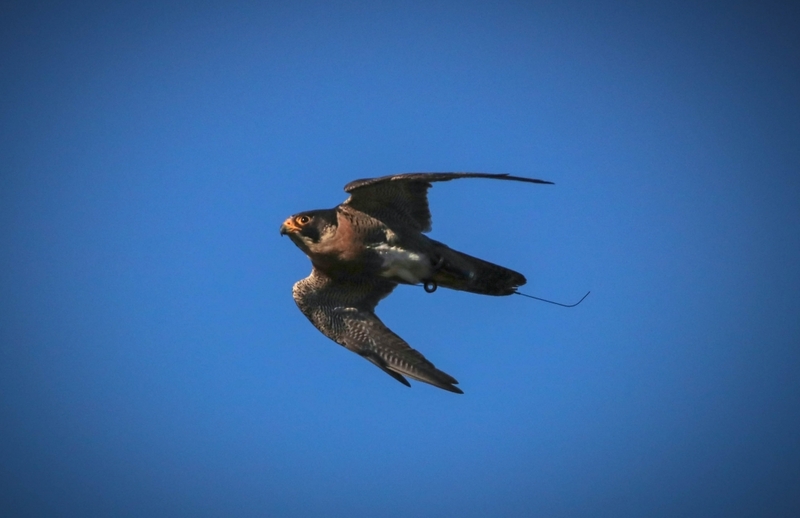 Peregrines are most well known for the speed, and are the fastest recorded animal in the world. They have been recorded reaching speeds of 320km/h during dives after prey. Peregrine falcons have a long history with humans, and were first recorded being used to hunt 3000 years ago!